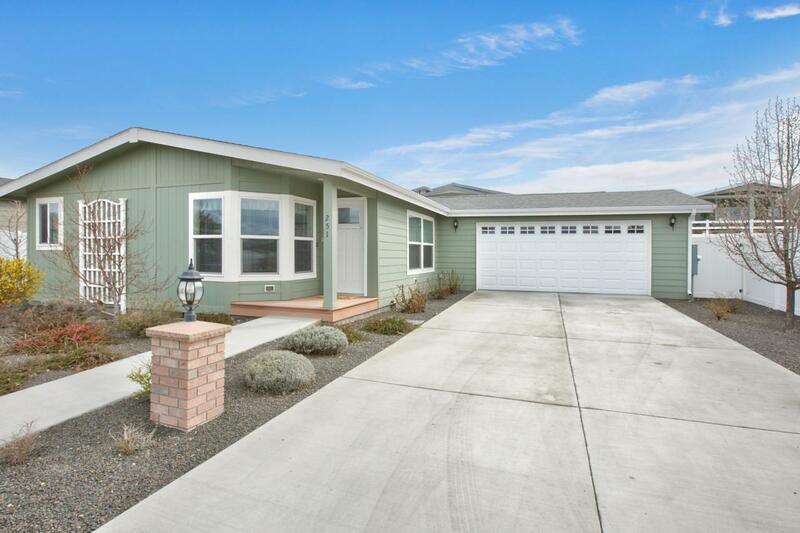 Come see this immaculate manufactured home nestled in the heart of a gated, 55+ active community! As you enter this beautiful home you will find an expanded open concept living area w/an abundance of natural light. The kitchen is sure to please the most discerning cook. Your entertaining can continue outdoors under the spacious covered patio. At the end of the day you can retire to your large Master Suite w/its double closets, double sinks, & large shower. As a member of this community you will have access to the community pool, club house, & endless activities. Welcome home!